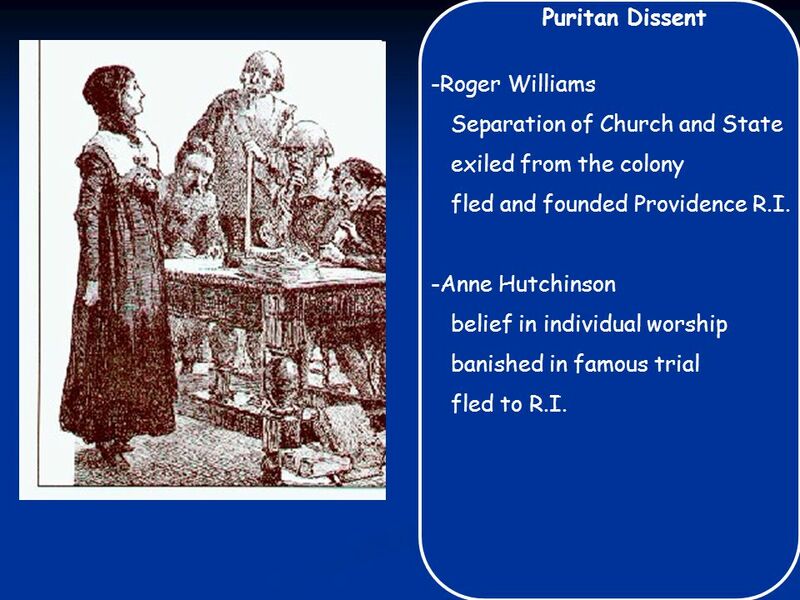 Religious Reasons -Henry VIII begins the Anglican Church -Reformers want to rid the church of all Roman Catholic traditions -Puritans wanted to purify. 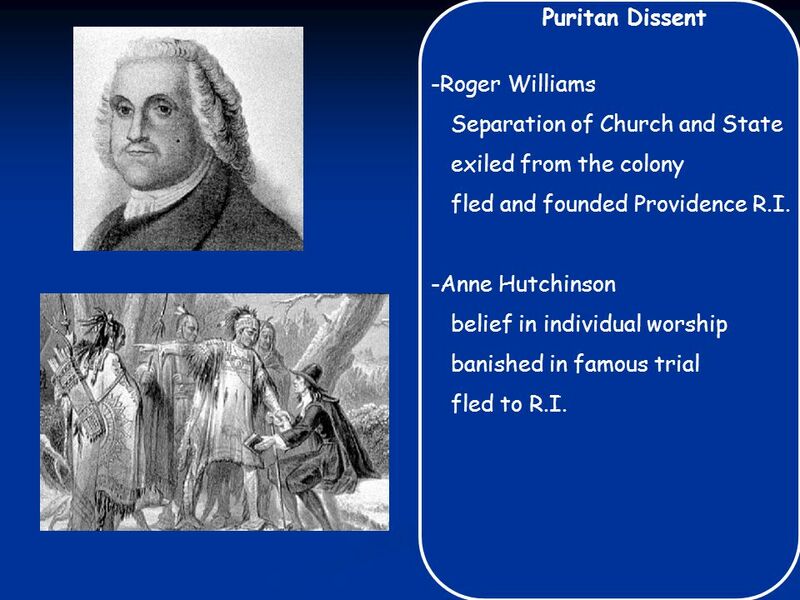 7 Puritan Dissent -Roger Williams Separation of Church and State exiled from the colony fled and founded Providence R.I. -Anne Hutchinson belief in individual worship banished in famous trial fled to R.I.
8 Puritan Dissent -Roger Williams Separation of Church and State exiled from the colony fled and founded Providence R.I. -Anne Hutchinson belief in individual worship banished in famous trial fled to R.I.
Download ppt "Religious Reasons -Henry VIII begins the Anglican Church -Reformers want to rid the church of all Roman Catholic traditions -Puritans wanted to purify." 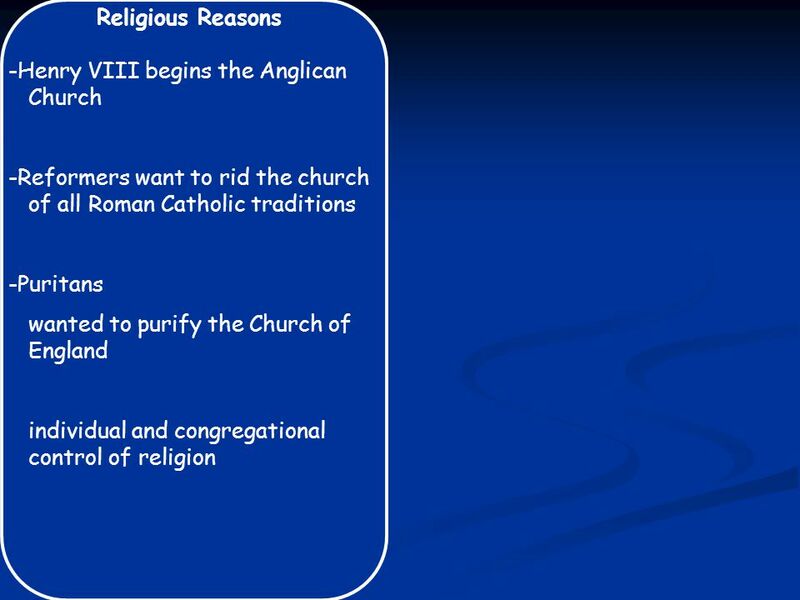 Religious Reasons -Henry VIII begins the Anglican Church- WHY? -Reformers want to rid the church of all Roman Catholic traditions - The church had become. 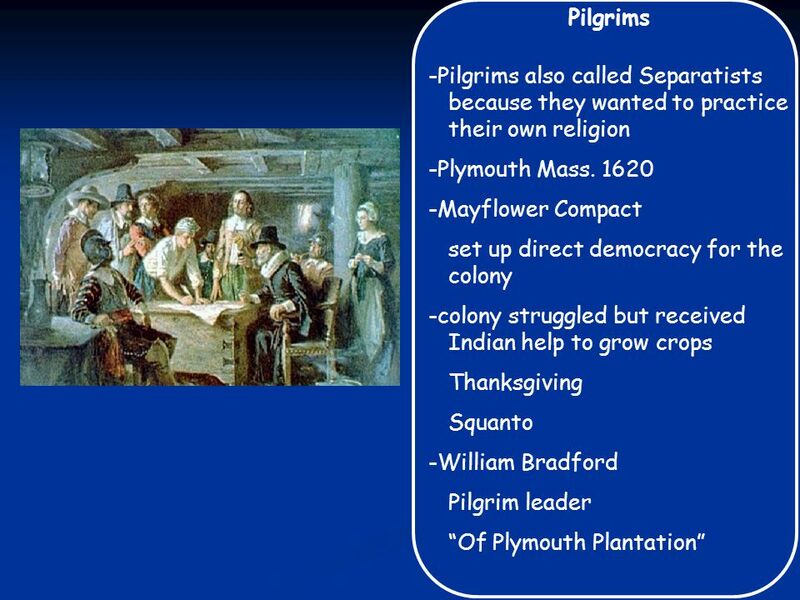 Chapter 2 Section 4 New England Colonies. ENGLISH COLONIES. Impact of Contact -Colombus’ impression -colonization by force -effects of disease -importation of Africans -Treaty of Tordesillas between. 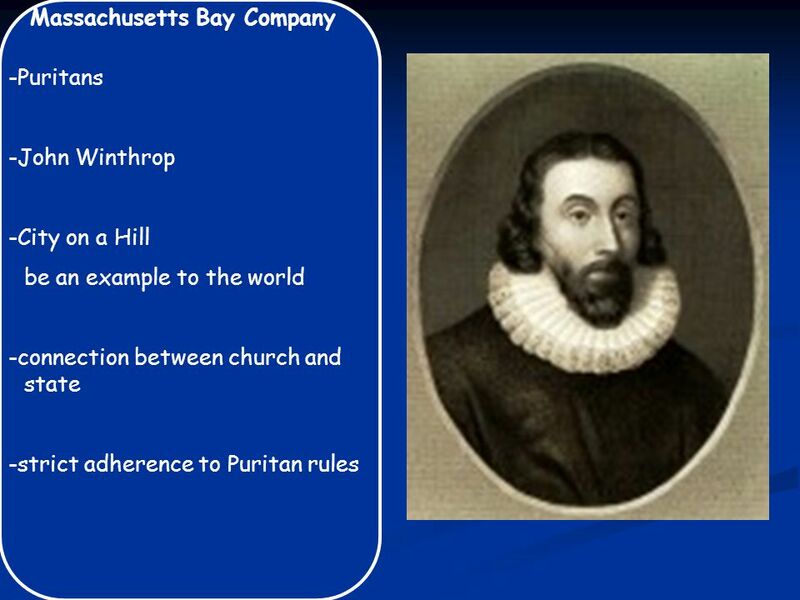 The New England Colonies. 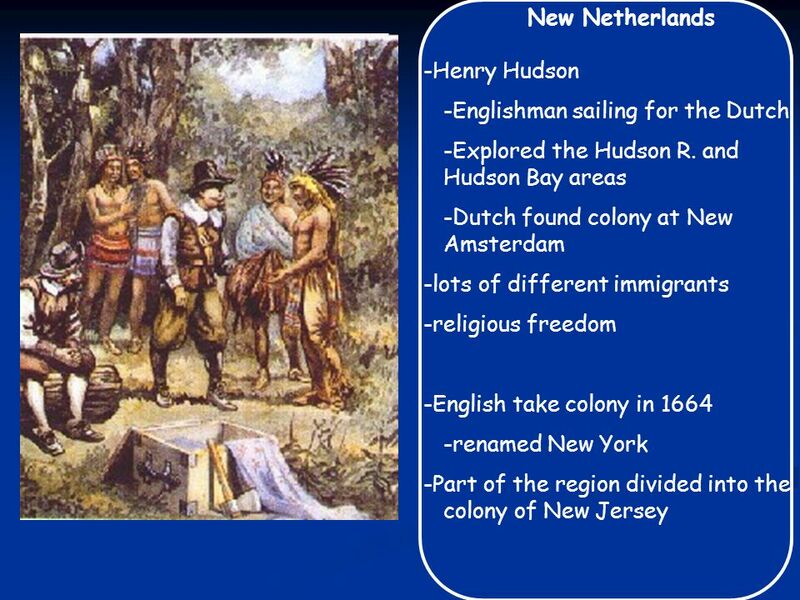 New Immigrants come to America Most of the New England colonists were religious dissidents. 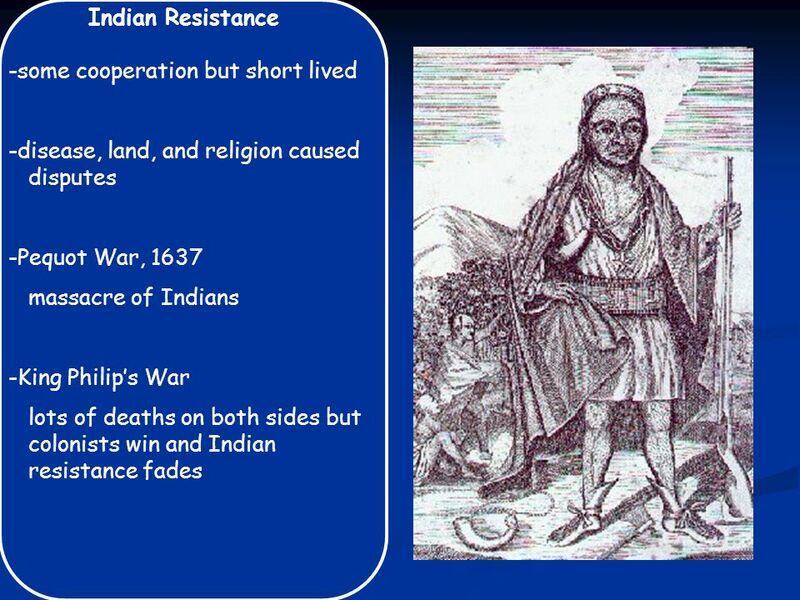 English Colonization of North America Name the reasons The English settled in America. CHAPTER 3 SECTION 2. RELIGIOUS FREEDOM IN ENGLAND??? KING IS THE LEADER OF THE CHURCH AND THE COUNTRY NOT EVERYONE LIKED KING HENRY VIII’S CHURCH Still. 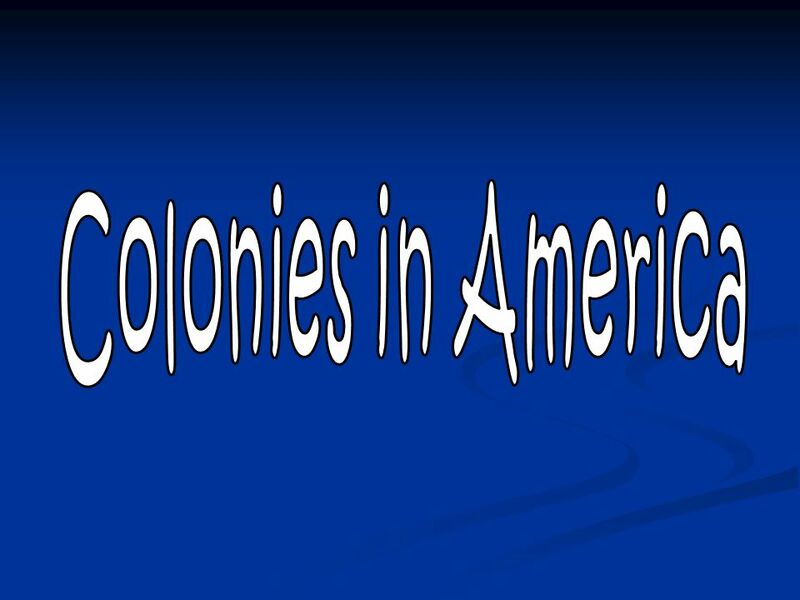 The American Colonies. Jamestown, VA May 13, 1607: Arrival of 104 Male Settlers. US History Chapter 3 Section 2. The Impact of Religion Henry VIII separated from the Catholic Church in 1534, but not everyone was happy with it. ▫Dissented. 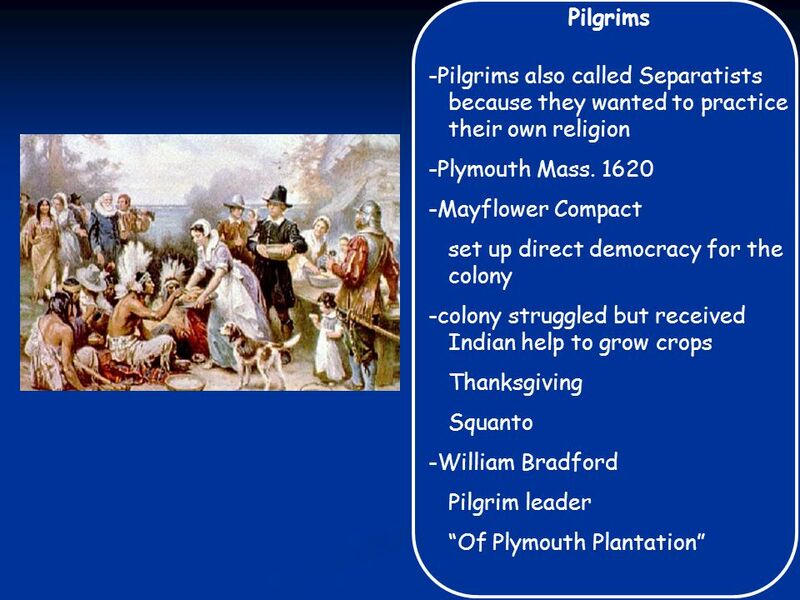 NEW ENGLAND COLONIES. Religious Freedom England was Protestant King Henry VIII broke away from the Catholic Church King Henry VIII forms the Anglican. Pilgrim or Puritan. 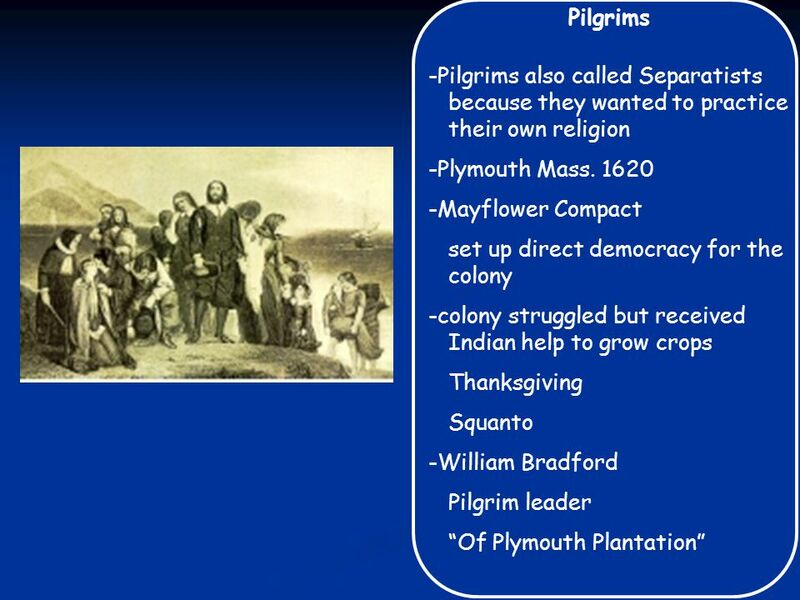 Pilgrims vs Puritans Pilgrims Were separatists Extreme Puritans Wanted to separate from the church Puritans Non Separatists Purify.